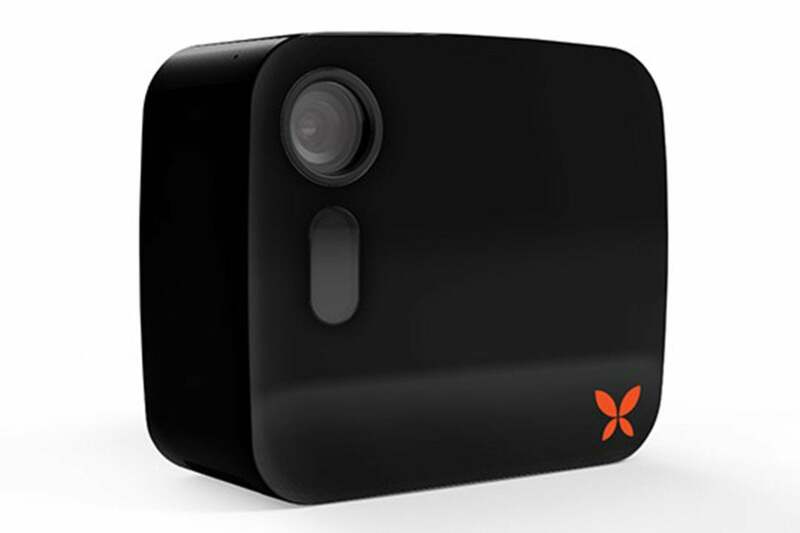 With a built-in battery and onboard storage, the Butterfleye preserves video evidence during power and internet outages. For all their strengths, Wi-Fi security cameras have a couple points of potential failure: their AC power supply and their internet connection. If either goes down, either due to a natural occurrence or an enterprising burglar cutting them off, the end result is the same: the camera stops recording video, and you lose potential forensic evidence. The Ooma Butterfleye mitigates both of these risks. It includes an internal battery that will keep the camera running for two to four weeks under typical usage conditions, as well as onboard storage that will hold your video clips until your internet connection is restored and they can be uploaded to the cloud. The sleek and compact Butterfleye looks more like one of Fujifilm's hip new Instax cameras than one designed for capturing surveillance video. But it has all the security bona fides, including a 120-degree field of view with a top resolution of 1080p, motion and sound detection, and two-way audio. Ooma bills it right on the box as the “world’s smartest camera,” a claim backed by the fact it can differentiate humans from pets, familiar faces from strangers, and loud noises from, well, less-loud ones. The camera is available in a white or black finish, but the difference is more than cosmetic. The white version has 16GB of onboard storage and costs $200, while the black one has 32GB and costs $250. Three-camera packs are offered for both versions. The black Butterfleye includes 32GB of onboard storage, while the white version has 16GB. Whichever version you buy, you’ll need a cloud subscription to activate the facial-recognition and two-way audio features, as well as an auto arm and disarm feature that uses your smartphone's GPS to determine when you're home and away. Ooma offers two plans: Most homeowners will want the Home Secure option, which gives you 30 days of storage for $10 a month. Businesses can opt for Business Secure, which gives them 90 days of storage, plus multi-site automatic arm/disarm, for $30 a month. The Butterfleye is meant to be used cordlessly, so you’ll first want to charge it. The 10,400mAh built-in rechargeable battery takes about four to six hours to reach peak charge from empty, so you have plenty of time to download the companion app and create a user account. On paper, the setup process sounds like couldn’t be easier. Just open the app, turn on the Butterfleye, and your phone and the camera will pair automatically over Bluetooth. Then you just connect to your Wi-Fi network from a list off available options and you’re off and running. In reality, though, this step took me almost a dozen attempts and required and a reset of the camera before the app recognized the Butterfleye. All detected events are logged in a timeline and can be sorted by type. The Android and iOS apps have an identical design. The live feed is displayed at the top of the screen and is activated by pressing the play button. The image is sharp with little distortion despite the 120-degree lens, which was plenty to capture my whole living room. The camera does not have panning capabilities, but you can focus on details of live or recorded video by touching and dragging the image to a specific location. Similarly, you can zoom up to 8X by pinching the image. The camera doesn’t use infrared night vision but rather brightens the image in low light to provide more visibility at night. The Butterfleye only records when it detects activity, and it stores the video clips, called “events,” in a timeline beneath the live feed. 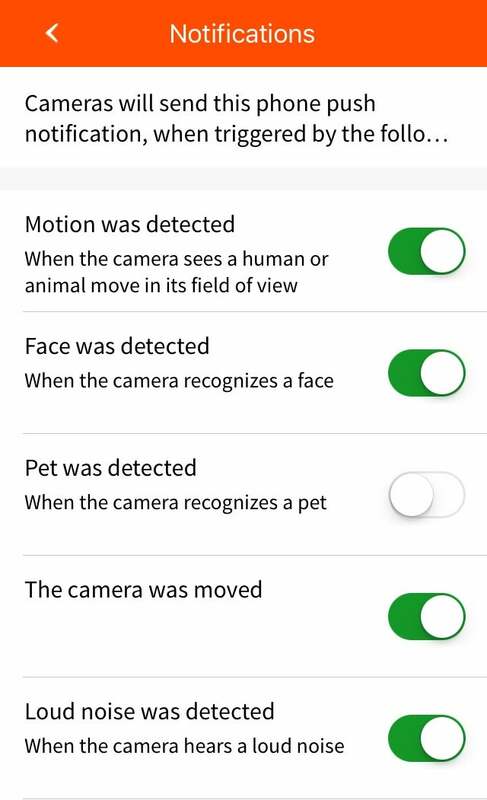 The Butterfleye’s AI engine can detect nearly a dozen types of events, including motion, sound, faces, pets, camera movement, and when someone enters or exits the room. By default, all event types are logged in the timeline, but you can filter them to find specific recordings more quickly. Just tap the filter icons toolbar and de-select the event types you don’t want to see. You can also narrow down events by date range. Clicking on an event in the timeline opens the video clip for playback. You can save any clip to your phone, share it, mark it as viewed, or delete it from here as well. 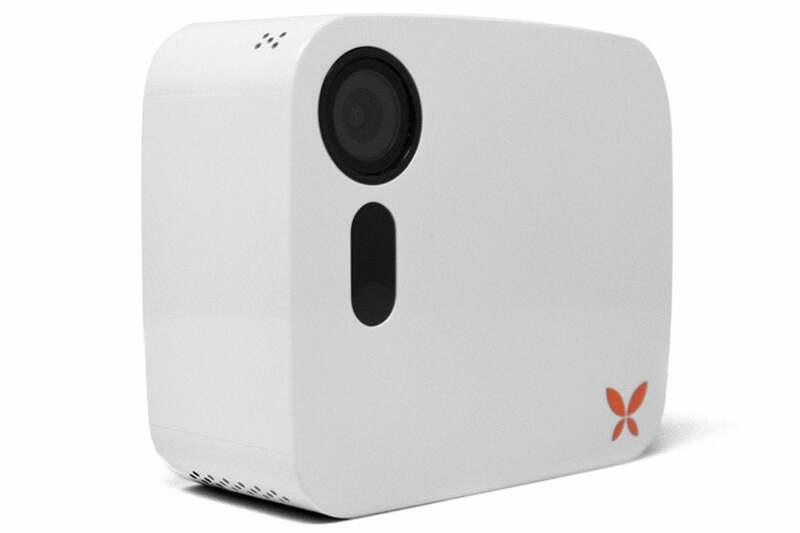 Where many security cameras’ alerts will tell you only if they detected motion or sound—leaving you to investigate the corresponding video clip for what triggered the alert—the Butterfleye lets you know up front what it thinks is happening in front of its lens. 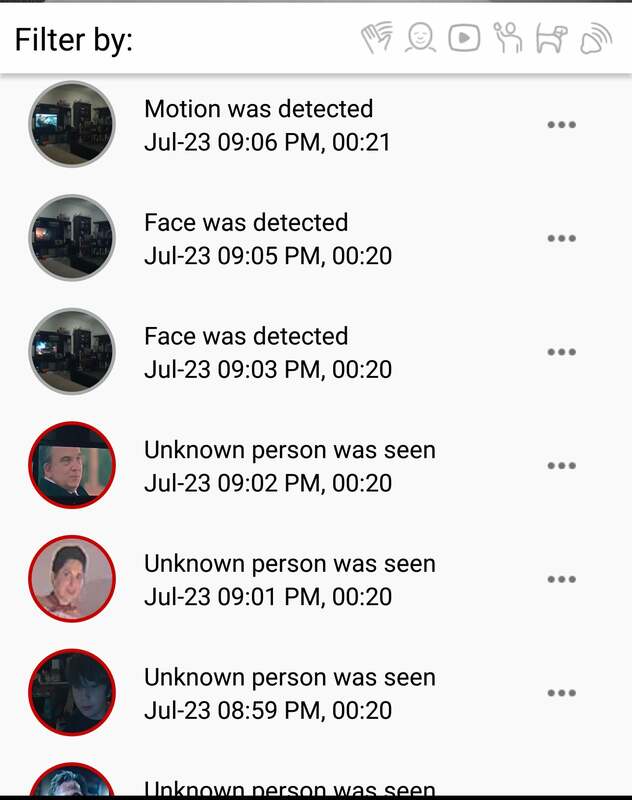 It can tell you if a moving object is a human face or a pet ,or if it heard a loud noise or detected the camera was moved, either of which might signal something out of the ordinary occurring. You can easily customize what events you want to be notified about. It also attempts to identify specific people using a proprietary facial recognition algorithm. Whenever it detects an unrecognized face, it adds it to the Faces tab accessed from a menu on the camera’s home screen. Here, it sorts them into Unfamiliar and Familiar Faces sections. To identify an unfamiliar face, just tap their thumbnail image and enter a name. That person will be moved into the Familiar Faces group. If you’ve previously identified that person, you can just tap the new image, tap their image in the Familiar Faces list, and select Combine to improve the recognition accuracy. The camera learned pretty quickly who the members of my family were, though facial recognition usually takes a couple of weeks of training to work reliably. I didn’t have any hiccups with the feature, but if the Butterfleye incorrectly associates an image of an unknown person to a known face, you just tap on the known face on the Faces page, then tap the picture of the face in the center circle that pops up to open a gallery of all recent images associated with that face. You can then trash any incorrect images. Having such detailed alerts doesn’t just tell you what’s happening at home before you open the app, it also allows you to tailor notifications so that you only hear about events that are important to you. Under the settings menu, you simply toggle switches on for those events for which you want to receive push notifications. You can also create a Notification Schedule that will turn off all notifications at particular times of day when you don’t want to be bothered, such as when you’re home at night. The Butterfleye offers a couple of options for turning your camera off when you’re home. Privacy Mode simply puts the camera to sleep when you want to stop recording or don’t want to be disturbed by notifications. 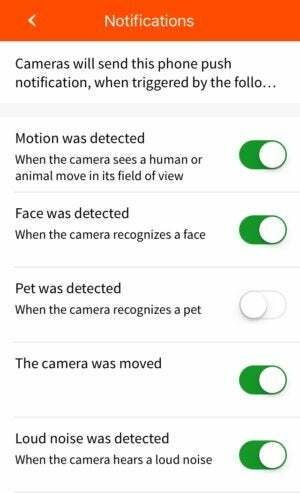 Auto Privacy Mode uses geofencing to automatically arm and disarm the camera based on your mobile device’s location. 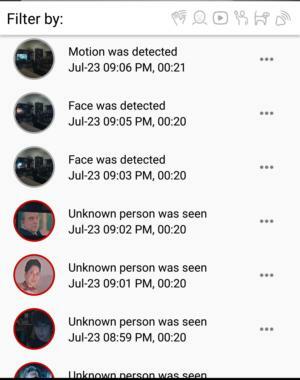 When you travel about 165 feet away from your camera with your phone, Privacy Mode turns off so that your camera can record any detected activity while you're gone. When you return home, Privacy Mode is automatically re-enabled. The Ooma Butterfleye successfully addresses home security cameras’ vulnerabilities—the risk of losing connection to power and the cloud—and their most griped about feature—inundation with alerts for mostly innocuous events. That, coupled with its smart looks and solid performance, should land it on anyone’s shopping list.